Karen offers an intuitive treatment that is unique to you. The focus is to instil a natural ability for your body to heal itself and achieve a fine balance. Through practicing Qi Gong and Gung Fu, Karen developed an interest in using these skills to balance the essence of mind, body and spirit. As she has explored and improved her awareness, she wants to share her understanding to help others. 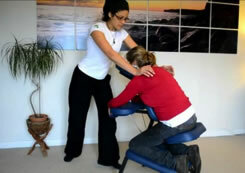 Karen achieved qualified practitioner status after three years of professional study with the European Shiatsu School. She assisted in training students studying to obtain their Shiatsu diploma and continues to expand her skills. 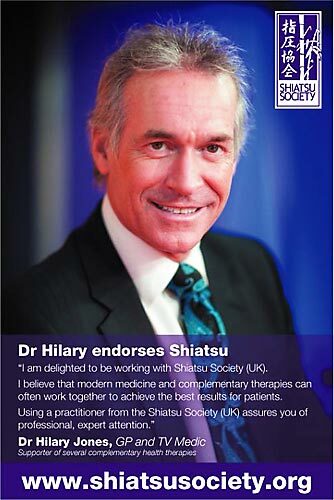 Karen is a registered professional member of the Shiatsu Society. Shiatsu is a distinguished treatment, promoting the body’s free flow of energy by encouraging circulation, flexibility, balance and healing on a physical, emotional and spiritual level. Shiatsu involves various manipulative techniques such as stretching, holding and pressure into various parts of the body. Pressure may be applied using thumbs, fingers, palms, forearms, elbows, knees and feet at the appropriate angle and depth, which differentiates Shiatsu from massage. Your treatment is carried out fully clothed as it is less intrusive and allows you to experience a deeper connection. On your first session, a case history is taken, which can then be interpreted for a more personal treatment. An effective and affordable way to receive a treatment in your place of work in an ergonomically designed portable chair. Provides immediate relief for tension with the focus on your head, neck, shoulders back and arms.